Volume II in the trilogy. 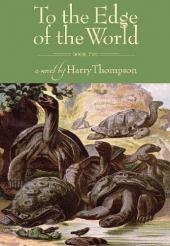 'To the Edge of the World' is a seafaring adventure in the tradition of Patrick O Brian, chartering the lives of Captain Robert FitzRoy and Charles Darwin, their friendship, and the historical voyage that ultimately drove them apart. In 1831, FitzRoy, a Christian Tory, and the liberal naturalist Darwin board the HMS Beagle and set sail for Tierra del Fuego. As they travel around the world, exploring the coasts of Patagonia and surveying the Galapagos Islands, the two men forge a lifelong bond while debating morality, nationality, biology, fate, and religion. But Darwin s theories on evolution, which go against everything FitzRoy believes in, threaten their friendship.